This custom built, all brick home has it ALL! 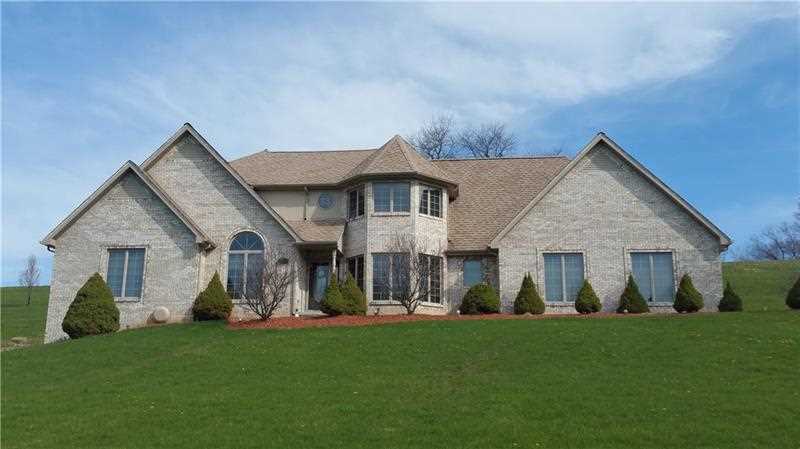 Situated on just under 5 beautiful acres in the highly sought after Buffalo Township in the coveted Freeport Area School district, this 5 bedroom home has a first floor master suite with a newly remodeled open floor plan which includes brand new quartz counter tops in the kitchen and new appliances. The first floor optional room is currently being used as a home office but can be used as a play room or whatever fits your needs. This home is conveniently located just minutes to both exits 16 and 17 of Rt 28 and Rt 228. Be sure to explore the solar panels, which creates significant utility savings!! The INDOOR POOL has a brand new heat pump that is run from electricity in the summer from the solar panels! It also has a brand new gas heater for the winter! You will want to vacation right here at your fabulous home! Listing provided courtesy of Collodi Realty. I was searching for a Property and found this listing (MLS #1337416). I would like to schedule a showing for 418 Cole Road Sarver, PA 16055. Thank you! I was searching for a Property and found this listing (MLS #1337416). Please send me more information regarding 418 Cole Road Sarver, PA 16055. Thank you! MLS # 1337416: This property at 418 Cole Road, Sarver, PA 16055 is located in the subdivision and is listed for $525,000. MLS # 1337416 has been on the market for 340 days.